Dr. Kesavan Karthikeyan is a well-versed nanotechnologist, with expertise in developing nanoparticulate systems for delivering drugs to eye for the treatment of ocular diseases like glaucoma, uveitis, bacterial keratitis and allergic conjunctivitis. He obtained Ph.D from Indian Institute of Technology, Banaras Hindu University (IIT-BHU), Varanasi, and then he joined as Assistant Professor in SLT Institute of Pharmaceutical Sciences, Guru Ghasidas Central University, Bilaspur, C.G. in the year 2012. Currently, his group working on the development of the mucoadhesive nanoparticulate drug delivery systems for ocular drug delivery, which would offer the advantages of decreased dose and dosage regimen, sustained release, improved patient compliance, and enhanced safety profile. 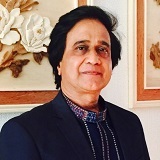 He has published more than 20 papers in reputed peer reviewed international journals. He has presented several papers in various national and international conferences. He extensively review manuscripts for many leading journals including Expert Opin Drug Deliv, Drug Dev Ind Pharm, Int J Pharm, Drug Deliv, Curr eye Res. For the past 25 years as a patient with chronic diseases, I have suffered from five cardiac episodes and many diabetes complications. I have spent 17 years to study seven academic disciplines in the field of mathematics, computer science, and engineering. I have 35 years of industrial and entrepreneurial experiences. In addition, I furthered my studies on psychology, internal medicine, and food nutrition for 17 another years. During the past eight years, I spent 20,000 hours to research type 2 diabetes (T2D) and its related complications. Zavos is a world-renowned American Andrologist-Reproductive Specialist who offers a multitude of treatments in various areas of Reproductive Medicine and dysfunction with emphasis in of male factor infertility, and more. He is recognized as a world-renowned expert in male reproductive medicine and for the past almost 40 years, he has been a leading researcher and a strong authority in the areas of male reproductive medicine, gamete physiology, male infertility, Andrology and other ART/IVF procedures. As a pioneer, he has performed thousands of procedures in many associating Centers globally. Patients come from all over the US and the Globe to receive treatment for reproductive health issues. 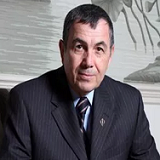 Panos Zavos has devoted more than 40 years to academia, clinical services and research. His ground breaking developments around new and innovative technologies in the field of human reproductive medicine have had worldwide implications. Prof. Zavos holds four college degrees and has received extensive training in the areas of reproductive medicine and all other fields of Assisted Reproduction. He received the Distinguished Alumnus Award and the Graduate Teaching Award from Emporia State University, the Student Leadership Award from the University of Minnesota and the first ever Honorary Professorship given by the China Academy of Sciences to an American Professor, among many others. 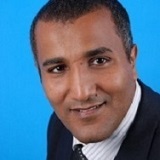 Shady Saleem is currently working as President of Arabic Society of Fetal Medicine and Surgery.Fellow of Fetal Medicine at Fetal Medicine Unit, Cairo University from 2011 tell now . his academic background includes Consultant of Obs. & Gyn. at Ministry of Health Hospitals , Lecturer at Cairo University and Lecturer at Banha University. He Participated and organized many ultrasound and fetal medicine courses as a trainer at Egyptian medical syndicate and Fetal Medicine Unit, Cairo University. Instructor for many courses at Arabic Society of Fetal Medicine and Surgery as Fetal abnormalities course, 3D and 4D in Obs. & Gyn. course, Fetal Echocardiography course and IVF course. Nasim Oâ€™ Subhi is one the Experienced Chairman with a demonstrated history of working in the hospital & health care industry. 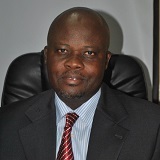 He serves as the chairman and consultant in the field of ob/gyn at St. Francis Hospital, Ireland. His services at Francis Hospital included, Developing the Department, staffing and staff recruitment, Developing guidelines, policies and running the department, Brought in Day case surgery, Colposcopy, Hysteroscopy, Urogynaecology and DEXA scan. Extended post graduate training program and sub specialization programs. He was the former consultant at the National Health Service. Skilled in Clinical Research, Medical Education, Medicine, Patient Safety, and Healthcare Information Technology (HIT). Strong consulting professional graduated from Saint Anthony's School. He did his studies at King Edward Medical School, Lahore. 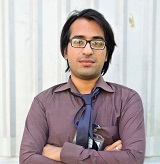 Syed Ziyad Furqan is a bioscience graduate at Shaheed Zulfikar Ali Bhutto Institute of Science and Technology, Pakistan (SZABIST). He is Currently working as the logistic member at SZABIST Bioscience Society. He served as a Program Manager at Rahunama Family Planning Institution, Pakistan. He also served as an intern at Saad Specialist Hospital, Saudi Arabia. His work experience includes, a Volunteer at EXPO Center (Karachi).